New York and Washington, D.C., Jan. 4, 2018 – Hughes Hubbard & Reed LLP announced today that it has elected three new partners and six new counsel, effective Jan. 1, 2018. New partners Benjamin Britz and Elizabeth Solander are based in Washington, DC, and Michael Traube is based in New York. The firm also elevated Anson Frelinghuysen, Chris Gartman, Jennifer Graham, Jason Kaplan, John McGoey, and Fara Tabatabai to the position of counsel; all are based in the New York office. Benjamin Britz is a member of the Litigation department and Anti-Corruption & Internal Investigations group. Benjamin advises clients on all aspects of corporate governance including anti-corruption compliance, government investigations, securities enforcement, and shareholder class action and derivative litigation. 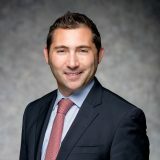 Benjamin represents clients before all manner of domestic and international enforcement agencies, including the Department of Justice (DOJ), Securities and Exchange Commission (SEC), UK Serious Fraud Office and the enforcement offices of the World Bank, Asian Development Bank and African Development Bank, among others. Benjamin has particular experience in conducting corporate compliance monitorships and compliance program evaluations and in defending companies and individuals in multilateral development bank sanctions proceedings. 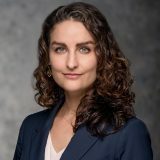 Elizabeth Solander is a member of the Litigation department and a member of the Securities Enforcement, Securities Litigation, Arbitration, and Appellate groups. Her diverse practice includes representation of corporate and individual clients in high-profile, high-stakes litigation and arbitration matters, including securities class actions, shareholder derivative litigation, and investigations by the Securities and Exchange Commission (SEC) and the Department of Justice (DOJ). Michael Traube is a member of the Corporate department. He has served as lead counsel on numerous public and private M&A transactions. 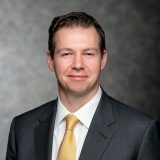 Michael has substantive experience representing companies in a broad range of corporate matters, including public and private mergers and acquisitions, joint ventures, strategic investments, carve-out transactions, Section 363 and other asset deals, proxy contests, private equity deals, corporate restructurings, reclassifications and corporate finance. Anson Frelinghuysen is a member of the Corporate Reorganization & Bankruptcy department. He represents companies restructuring their financial affairs both in and out of court, as well as representing secured and general creditors and lenders in Chapter 7 and Chapter 11 bankruptcies, out-of-court workouts, loan-to-own transactions, and adversary and collateral proceedings. Anson also advises investment firms in connection with bankruptcy matters, corporate activism, and take-private transactions. Chris Gartman is a member of the Corporate Reorganization & Bankruptcy department, where he focuses on bankruptcy, restructuring and commercial litigation. 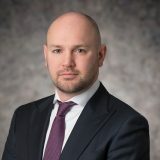 His diverse practice includes the representation of financial institutions, debtors and creditors in a wide range of matters, including asset sales and acquisitions, in- and out-of-court restructurings, as well as lender liability, breach of contract, tort and avoidance actions. Jennifer Graham is a member of the Corporate department and a member of the firm’s Securities practice. 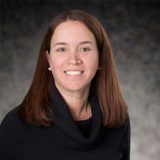 Jennifer focuses on the representation of issuers and underwriters in registered and unregistered securities transactions, including issuance of investment grade and high-yield debt, private mergers and acquisitions, and other business combinations and general public company representation. 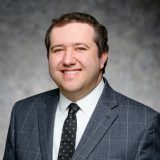 Jason Kaplan is a member of the Corporate department and Equipment Finance group. He represents financial institutions, aircraft leasing companies, airlines and private equity investors in a broad spectrum of international financing and leasing transactions, with a particular focus on aviation finance. Jason has experience in a wide array of structured equipment financings, including enhanced equipment trust certificates and secured notes issuances, securitizations, syndicated credit facilities, second lien facilities, warehouse facilities, and sale/leasebacks and re-structuring. John McGoey is a member of the Litigation department and a member of the White Collar & Regulatory Defense group. His practice focuses on criminal and regulatory defense, internal investigations, and complex civil litigation. 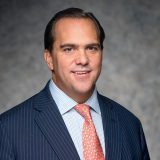 He has represented senior executives, traders, accountants, hedge fund portfolio managers, and other financial professionals and companies in proceedings with federal and state law enforcement authorities and numerous regulatory agencies, including the Department of Justice (DOJ), the Securities and Exchange Commission (SEC), the U.S. Commodity Futures Trading Commission (CFTC), and the Federal Energy Regulatory Commission (FERC). Fara Tabatabai is a member of the Litigation department. Her practice focuses on complex commercial, products liability, securities, and employment litigation and arbitration. 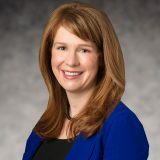 She has represented clients in a variety of industries, including the banking, pharmaceutical, telecommunications, and technology industries, and has particular expertise in cross-border disputes.